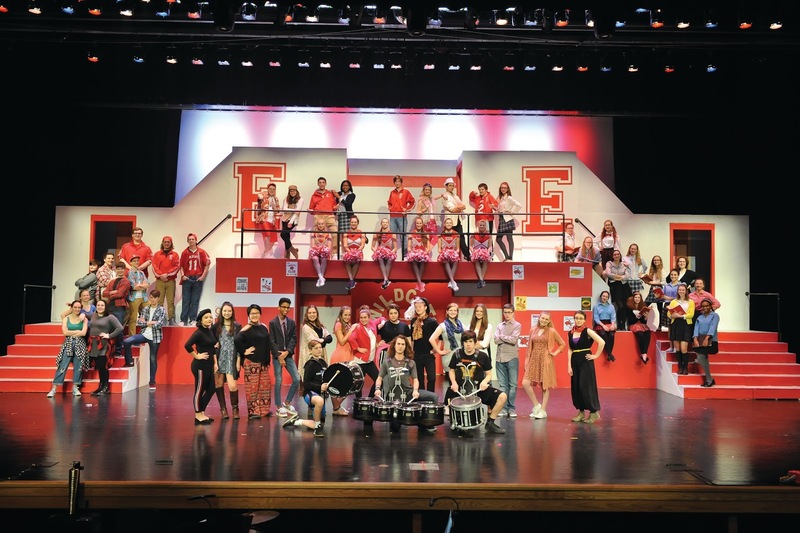 Lampeter-Strasburg's 'High School Musical' open tonight! High School Musical opens today! Tickets are available in the high school main office and at the door for this high energy family friendly show! 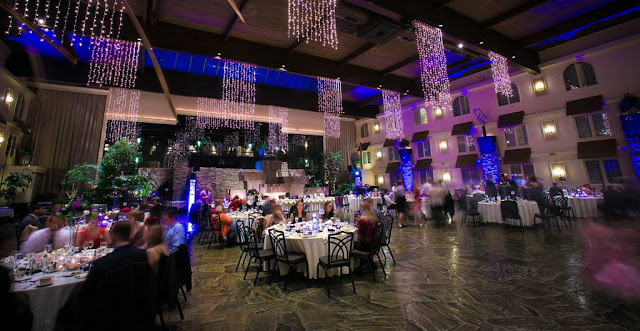 $10 for adults. $8 for students. Thursday's March 2's front cover of LNP's Entertainment Lancaster section of the newspaper. 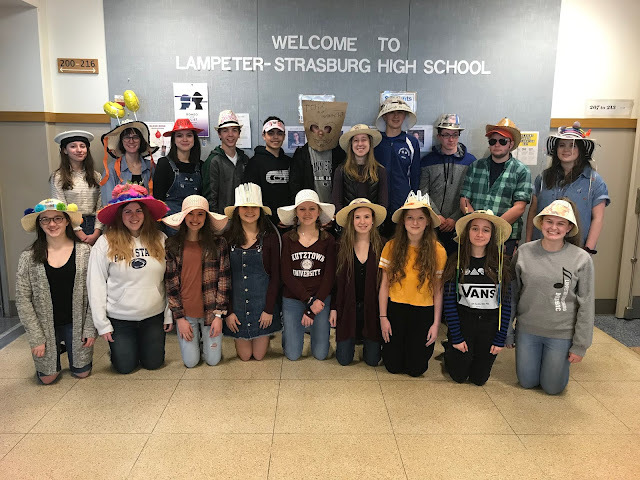 On Monday and Tuesday this week, Lampeter-Strasburg students district wide were treated to a 45-minute teaser performance of this year's spring musical, Disney's High School Musical. Victoria Popielarski said of Tuesday's teaser that it is a "must see performance." Freshman Kyra Hersh, agreed saying, "Wow! That was great!" Several students could be heard throughout the high school humming the songs from the teaser all day. 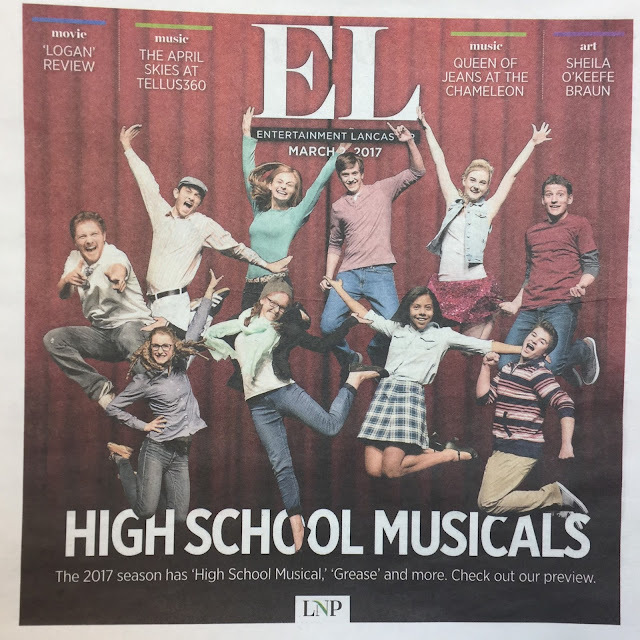 This musical features Lauren Bliss as Gabriela Montez and Logan Emertt as Troy Bolton. It also special guest stars fourth grade elementary school teacher Mrs. Kristi Raugh as Ms. Darbus and high school music teacher Mr. Erik Welchans as Coach Jack Bolton. Their first performance is tonight at 7 pm. Show runs until Saturday. With performances at 7 pm on Friday and Saturday and a matinee on Saturday at 2 pm. Students from several clubs have come together to put on this spectacular show. Come support your community of young drama students! Don't miss this amazing show.